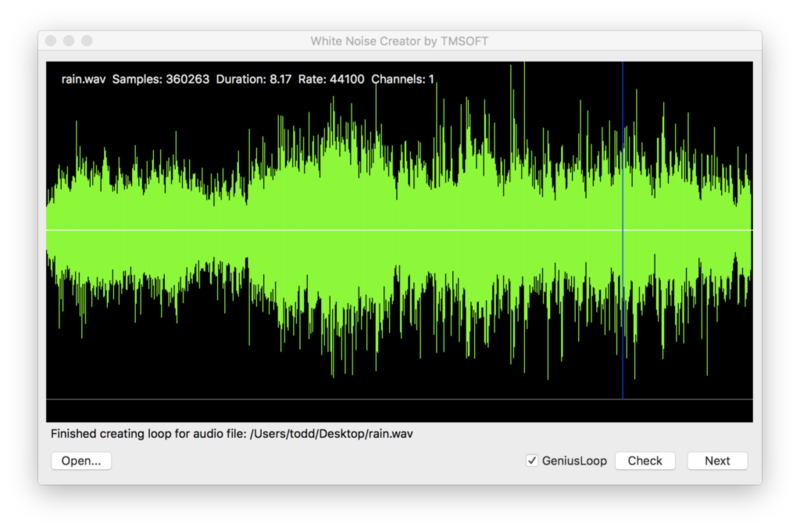 TMSOFT has released White Noise Creator 4. The newly updated application converts and professionally loops audio files for use in our White Noise mobile and desktop applications. This major release includes a brand new user interface to streamline the process of looping sound files and an updated GeniusLoop algorithm that supports stereo sound. This release also supports Windows for the first time in addition to our existing Mac version. The Creator workflow has been greatly improved and simplified. Just drag in a sound file and Creator will automatically loop the audio and start playback. Next, you’ll add a high resolution image and provide a name for your sound. Tap the Save button to create your portable White Noise Audio (WNA) file that will open and playback in all our White Noise mobile and desktop apps. It’s a free download for the Mac and Windows platforms.